Al Cardenas oversees the Governmental Affairs Practice for The Advocacy Group at Cardenas Partners and is also a Senior Partner with Squire Patton Boggs. Mr. Cardenas is a regular opinion editorial columnist for El Diario, the largest circulating Spanish-speaking newspaper in the country and frequently appears on network television, CNN, FOX, MSNBC, Univision, CNN Espanol and Telemundo. 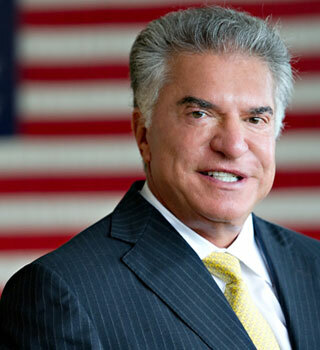 Al Cardenas recently served as Chairman of the American Conservative Union, the country’s oldest and largest grassroots conservative organization. Earlier in his distinguished career, Al Cardenas served two terms as Chairman of the Republican Party of Florida, the largest state political party in the country. Prior to his service as chairman, Mr. Cardenas served three consecutive terms as vice-chairman. He has also been named as one of Washington, D.C.’s top lobbyists by The Hill newspaper. Mr. Cardenas has been active in Republican politics for more than 25 years and has represented the State of Florida at every Republican National Convention since 1976. President-elect Ronald Reagan chose Mr. Cardenas for his transition team, making him responsible for the transition of the United States Department of Commerce. President Reagan also appointed him to chair the President’s Commission on Small and Minority Business Affairs in 1982 and later as Special Ambassador to St. Kitts-Nevis upon that nation’s independence in 1983. President George H. W. Bush appointed Mr. Cardenas to the Board of Directors of the Federal National Mortgage Association from 1985 to 1990. He also served on the President’s Trade Policy Commission. Governor Jeb Bush appointed Al Cardenas as a member of the Board of Trustees to Florida Agricultural and Mechanical University (FAMU). He also served as Co-Chair of Save Our Constitution, where along with former Speaker of the House and current Senator John Thrasher, he led the successful effort to block the anti-growth amendment, Hometown Democracy, from the 2008 ballot. Mr. Cardenas served as Co-Chair of the Republican Party of Florida’s Victory 2010. He is a member of the Public Affairs Committee of the National Rifle Association, a board member of the Beacon Council and serves as a representative on the National Advisory Committee for Labor Provisions of Free Trade Agreements (NAC) through the United States Department of Labor. Most recently, Mr. Cardenas was asked by Florida Governor-elect Rick Scott to serve on the Inaugural Host Committee.